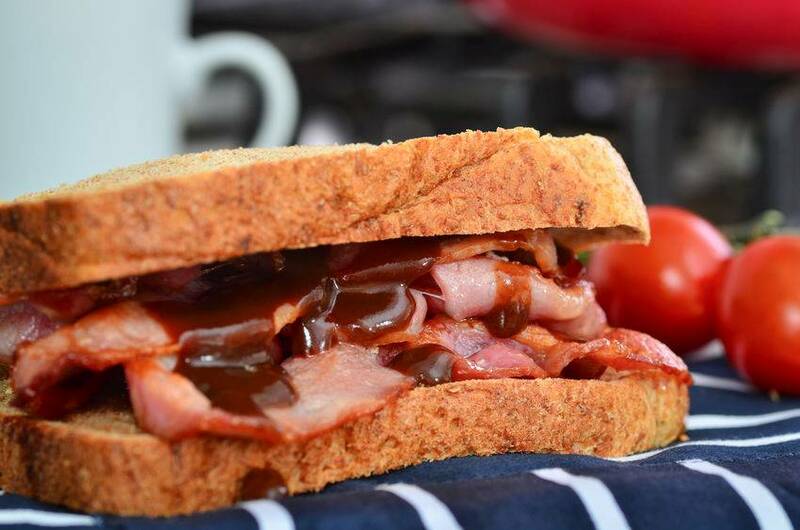 A study which says that eating just one rasher of bacon a day increases the risk of cancer has been criticised for being 'sensationalist'. Scientists from University of Oxford have shown that people eating around 76g of red and processed meat a day - which is roughly in line with government recommendations - still had a 20% higher chance of developing bowel cancer than those who only ate about 21g a day. The study, commissioned by Cancer Research UK, found the risk rose 20% with every 25g of processed meat - roughly equivalent to a rasher of bacon or slice of ham - people ate per day. The risk rose 19% with every 50g of red meat, equivalent to a thick slice of roast beef or the edible bit of a lamb chop. But a clash in past opinion by other experts on the subject has led some to think that such stories are 'sensationalist' and 'rubbish'. Carrie Ruxton, of the Meat Advisory Panel, said: "Red meat provides valuable nutrients, such as protein, iron, zinc, vitamin D and B vitamins." She added "a range of lifestyle factors have a significant impact on the risk of bowel cancer, most notably age, genetics, lack of dietary fibre, inactivity and high alcohol consumption". Some social media users also reacted with disdain to the news. More rubbish about eating red meat and cancer on @BBCBreakfast eating processed crap full of artificial additives is the problem. It comes as a leading nutritionist highlighted the positive health benefits of consuming lean red meat, and how it should be more widely-known in order to ensure an informed public debate. These include helping people to reach optimal intakes of iron and zinc, and acting as a natural source of high-quality protein. Meanwhile, a panel of meat experts said the British public should not be put off eating red meat following headlines from October 2018 linking eating products such as bacon and ham to breast cancer in women. The study, published in the International Journal of Cancer, found women who ate high levels of processed meat had a 9% increased risk of the cancer compared with those who ate little of it. But Prof Robert Pickard, of the Meat Advisory Panel, urged caution on the findings. He said: “This is an observational study that only serves to give rise to alarmist headlines about processed meat and not to provide any causal link between processed meat and cancer. Consumers should not be put off red meat and continue to enjoy it as part of a balanced diet.